Protecting buildings of all kinds from fire is a major responsibility of property owners who have to comply with the safety requirements of the location where the building is. Local municipal bodies and states have framed guidelines and laws to ensure safety to property and life from fire. Whether you are constructing a new building, undertaking a new commercial project or are doing some renovation project you have to include cost-effective and efficient fire protection systems. It can range from fire extinguishers and sprinkler systems to fire alarm systems that provide the resources for fighting the fire and extinguishing it before it can cause much damage. Regardless of the size of the project, you have to install proper fire protection system because it is a legal requirement. Fire protection engineers are responsible for designing and implementing fire protection systems that should have the capabilities of protecting human life from the fire up to a reasonable degree and to minimize the loss to property, information and business operations from fire. The professionals that fire protection engineers are they know the best techniques for designing fire protection systems by considering the various sources of fire – natural, wildfire, human made and incidental that help them to create an integrated system of fire protection by taking into consideration all the components of the building. For designing an effective fire protection system, it is always advisable to go for the best fire protection services Vancouver because it entails more than only complying with the legal requirements. It is about protecting life and property in the event of a fire. By complying with the codes and laws, you can ensure that you have met with the minimum needs for protection against loss of life and limit the impact of fire on the community, but it does not help to protect the assets or provide solutions to problems arising from unique circumstances related to the project. The best firefighting system design will integrate efficiently and creatively the code requirements with other safety measures and design strategies to create a balanced design that provides the optimal levels of safety. Keeping in mind that it is essential to take an extended view in fire protection when developing a fire alarm system, you must consider not only the primary purpose of the fire alarm system but also many other factors. The features of the building, number of people in the building at any given time, whether it is an office block or a simple structure and the kind of budget allocated for firefighting and safety are factors to consider. The convenience of handling and monitoring the system and designing it with cost-effective features are the prime requirements of the design. What kind of fire alarm system is needed depends on the extent of risks and the budget you have for fire safety. You can choose from conventional fire alarm system, addressable fire alarm system, and a wireless fire alarm system. If you are designing the fire protection system for a small residential building or a small business set up, then the choice of a traditional or conventional fire alarm system seems reasonable. You will come across such systems in small buildings like shops, restaurants and private homes. While the system can alert you in case of fire, it does not show the exact location of the fire. Since space is small, physically detecting the origin of fire might not always be a problem. When using the conventional fire alarm system in significant buildings, the standard practice is to divide the building into several zones according to the number of floors. It would help to get a general idea about where the fire has happened. Since each floor must have a separate alarm system, the cost of installation would go up in bigger buildings. Despite its simplicity, conventional fire systems are valid and reliable as well as easy on pockets. Large buildings use an addressable fire alarm system because the installation cost is less as you can connect all devices across the building with a single wire and loop it to terminate in the main control panel. The specialty of the system is that each device has the address of the location that makes it easy to detect where the fire has happened. Maintenance of addressable systems is easy because you can monitor the alarms as well as the technical condition of the system by using a control panel that is easy to manage. The system is programmable, and you can fully program it. Since the system uses loop wiring, it is easy to keep provision for future expansion or making changes during redesigning of the project later. Multi-storied buildings must use addressable fire alarm system due to its ease of installation and better ability to locate the fire. Wiring involves a significant cost when installing fire alarm systems that reduce a lot when you use a wireless system. The absence of wires does not affect the functioning of the system because the devices are capable of communicating wirelessly. Some listed buildings that require special permission for wiring would find this system most appropriate. Since no wires are involved in installing the system, you can change the position of devices easily, and this flexibility is attractive to many people. Although the upfront cost of the system is high, the savings generated by not using wires and cables, the lower labor cost of installation and less damage to buildings during installation make the overall pricing quite attractive. The battery-powered system is designed to take care of any signal interference. Regardless of the technology of the fire alarm system, it has to respond very fast during the fire because early detection can limit damages to life and property. The alarm must be loud enough so that people can hear it across all places of the building and it must never send out false alarms by mistaking dirt and steam as smoke. 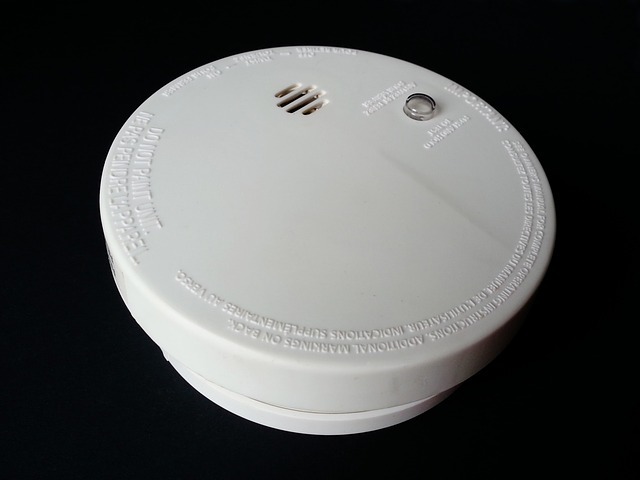 False alarms attract fines that can turn quite costly at the end. How Are Telescopic Pool Enclosures the Next Big Step Towards Home Remodeling? How to Add an Extra Kitchen in the Basement?